In Build days 5 and 6 the XRT-C team constructed the bulk of dish. 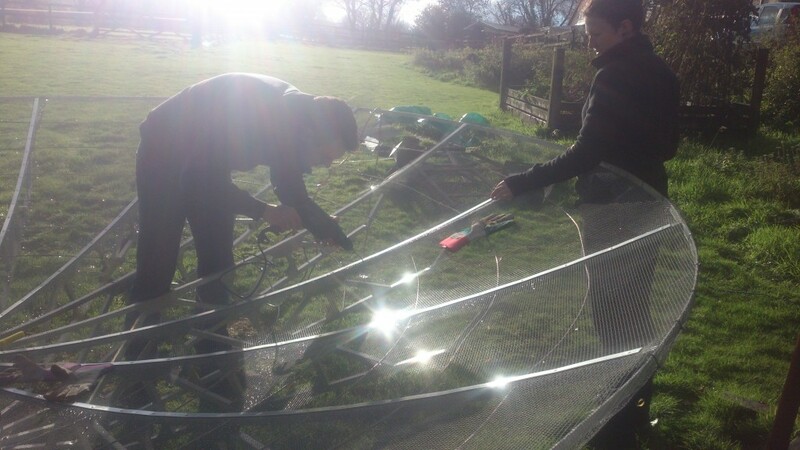 Despite an entire weekend’s worth of hard graft the dish was unable to be completed and therefore it became necessary to send a subsequent team to the site to complete the job before the winter closed in for good. 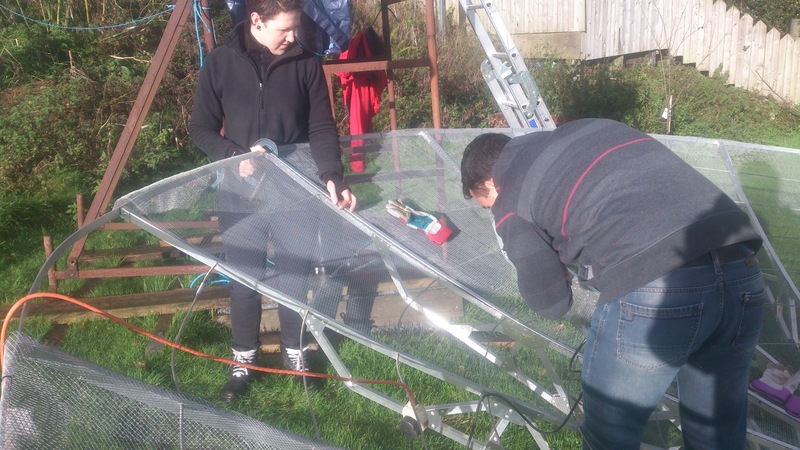 On a rain-affected day; Damian, Freya and Dimitar were able to get the final mesh panels attached to the dish rips and secured with cable ties. 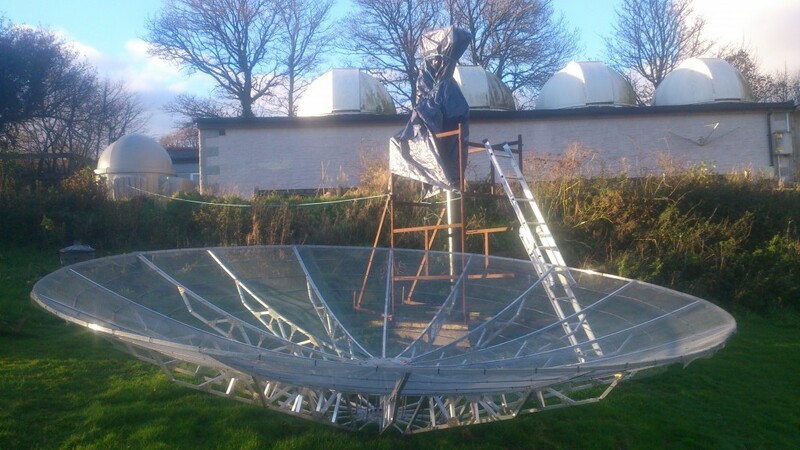 Anticipating wet and windy weather over the winter, precautions were taken to secure the dish to the ground and a tarpaulin over the rotor unit until work could resume in the new year after the exam period. However, the winter of 2015/2016 was exceptionally windy and come January Ken, the land owner, reported that gusted had lifted the dish off the ground and into the steel stand, the former coming off the worse…. Luckily the damage was not considered to be problem for the telescope operation, though it did highlight the need for wind strengthening.